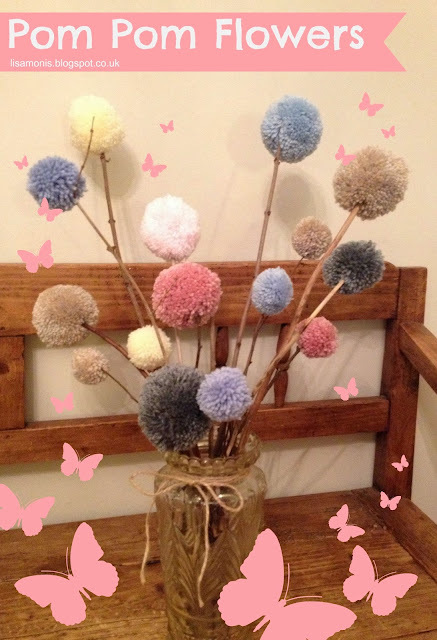 You might remember last month I'd shared this picture of a bag of pom poms I'd made in deliciously, soft,dusty, pastel colours with the idea that I'd make them into flowers...and now I have done just that. I was so impatient that I took the photos as soon as I'd put the flowers in the vase rather than waiting till morning when I'd have lovely natural daylight, so unfortunately there are some rather horrid shadows and the focus is a bit blurry! 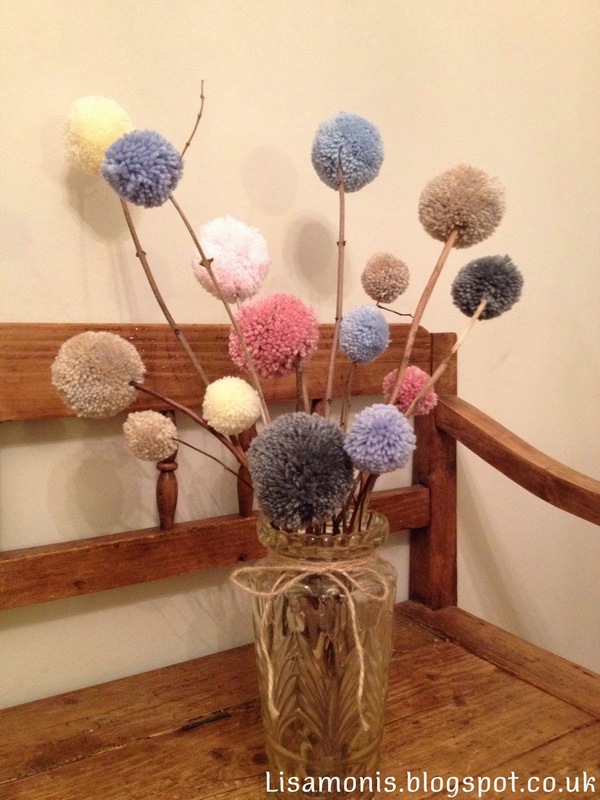 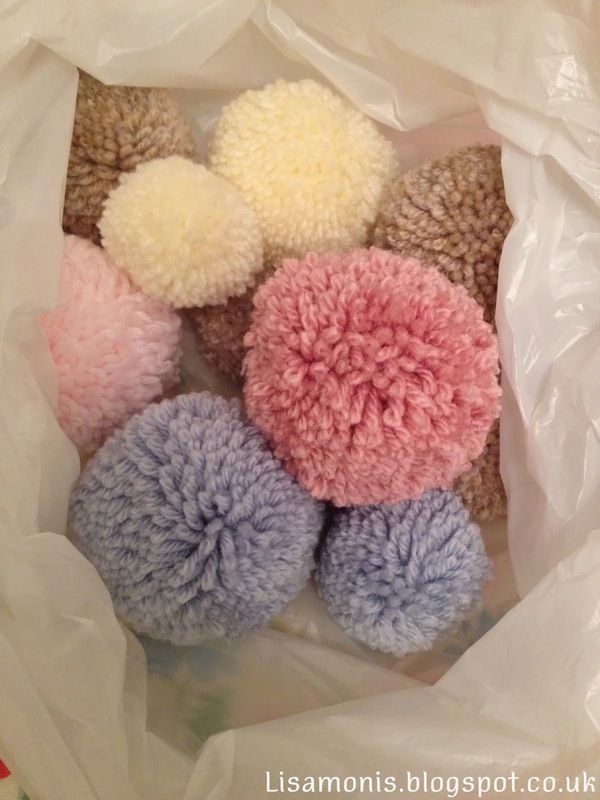 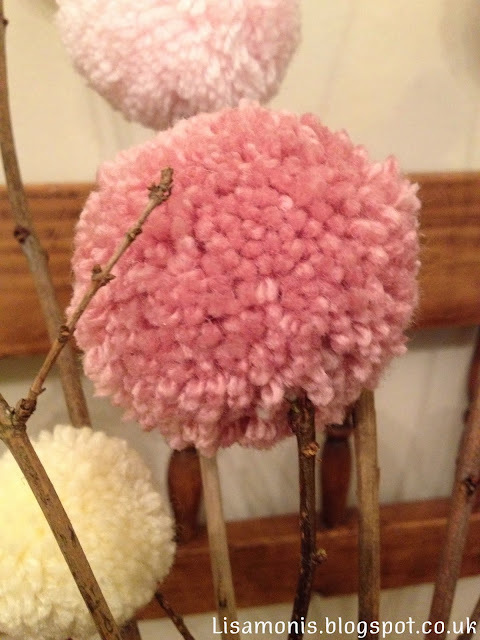 Hopefully you can see through these misgivings to the gorgeous soft, fluffy pom poms. 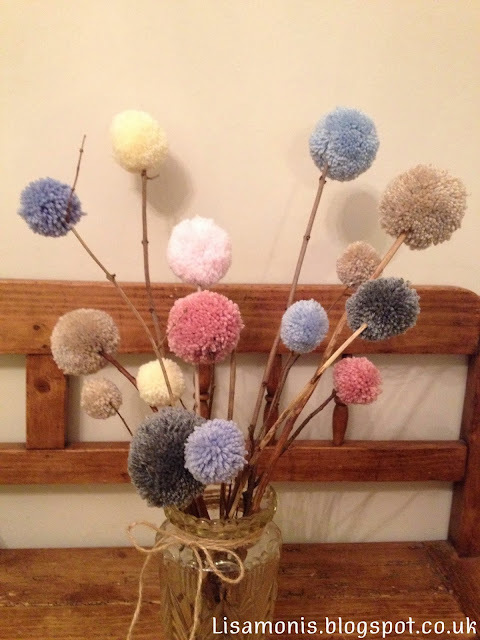 The twigs are from the trees in our garden so there's some lovely recycling in this creation as well. 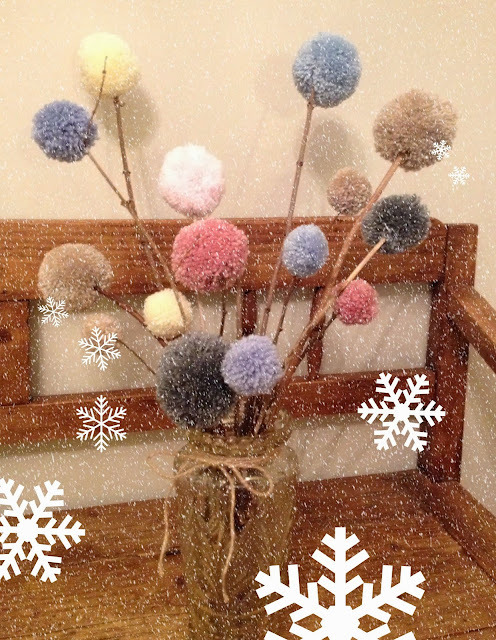 Following on from the robins I felt I just had to hit the snow effects again...it's just too tempting! !